For answers to most questions, please see the links below. We recommend taking a look at all the pages to familiarize yourself with what InstantPublisher.com has to offer in the areas of self publishing and book printing. It costs nothing to open an InstantPublisher.com account. Anyone with Internet access can do so from their home or office. Sign-Up to open an account. When publishing your book, the price of your book depends on the publishing options you choose when ordering: book size, number of pages, front cover design, number of color pages and binding style are the main publishing options. There are no additional charges for B/W photographs in your book. For book printing, get a quick preview of your costs by using our pricing calculator. 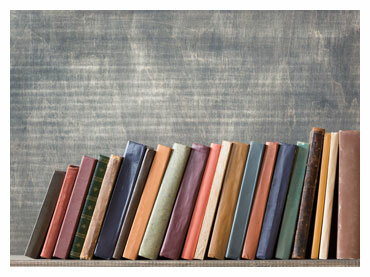 At the time you configure your actual order, you will be given a cost based on the book publishing options you select. If you want to look at pricing a sample book, go to our pricing calculator. To get a rough idea, to produce 250 copies of a 150 page book, which is 5 ½ x 8 ½ inches, perfect bound with a color cover, your cost would be $3.17 per book. Tennessee residents will have sales tax added to their final billing. If you are tax exempt, please provide your tax ID to InstantPublisher before final billing. The 5.5x8.5 book size is the most cost effective size we offer. You can estimate shipping charges to your area by using our shipping calculator. InstantPublisher.com has a minimum book order of only 25 copies. The price is based on the number of books you order, so larger orders reflect a smaller price per book. The 6" x 9" size will always be undersized. We have clearly marked the page size with templates for each book size. Cover templates are also available for the type of binding you select. We recommend .75” left and right and .7” for top and bottom margins for each book size. Custom sizes and bleeds are available. You will be charged for the next size up on the pricing calculator and an additional $.10 cutting fee for bleeds and non-standard sizes. You will be responsible for layout of your special size templates that are only offered for standard sizes. Final Trim Size applies if the book will need to be trimmed to a custom size that is smaller than the standard book size. For instance, to order a 5"x8" book, you will need to select 5.5"x8.5" for the book size, then enter 5"x8" in the final trim size. *For more information and pricing, visit our Pricing Information page. The best way to produce a book is to go to a bookstore and look at as many page designs as possible. Pick one you like and follow the same type of format. Be sure to size your document to the size of book you want to publish, before you start typing, as this will save you from having to reformat after typing. If your manuscript is already entered onto your computer, you can still re-size; but you will need to go back through and make sure everything falls on the correct page and looks correct. The easiest way to tell what page falls where is to look at the physical page number. The easiest way to set your book size is to enter the size of the book as the paper size on your page setup screen and enter .75" for left and right margins and .7" for top and bottom margins. To produce a book you should start with a title page followed by the copyright page. The title page typically includes the title, subtitle, name of publisher and author. In book publishing, the copyright page must contain Copyright © followed by the year and name of who the copyright is filed under. One frequently quoted source is Strunk & White's "The Elements of Style" at http://www.strunkandwhite.com. If you have questions about type for your text pages, you might look at http://www.adobe.com/type/ for ideas. Your cover can optionally be full color. Content pages can be printed in black type or can be in full color. Listing the publisher (your name) and printer on the copyright page is standard in the book publishing industry. The book would be printed in the United States of America by InstantPublisher.com. All books are priced by the number of pages. Many books will have special pages such as a Table of Contents, Foreword or Introduction, Glossary or Index. You are the publisher and have full control of how the pages will look and in what order they appear in your book. When planning to publish your book, do not use too many fonts, especially on the same page and never use all caps. Microsoft Word's page numbering scheme isn't directly obvious, but it isn't needlessly complex either. Indirect might be a good term for it. Once you understand how it works, all sorts of possibilities open up. So, for the moment, forget everything you've learned or thought you knew about page numbers. Let's start from some background info of this topic. Section 2— (In some cases, Word inserts Section Breaks automatically, such as when you change the number of columns in part of a document). InstantPublisher.com book publishers have four choices to make in cover design. The first, a black and white design printed on white cover stock. This can include grayscale images on both the front and back cover. Covers are to be uploaded separately to your library. [ JPG, TIFF and PDF files may be emailed as well after placing your order with the order number.] *Cover specs are set to 1/8" larger than your actual book size to incorporate bleeds with .5" margins for text. Photoshop templates are available. 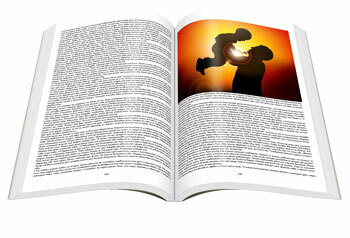 Stock full color cover designs is the second choice offered by InstantPublisher.com and can be personalized with your wording and the selected typestyles. If you choose this selection on your order, you will be given a screen during the order process to complete the information you want imprinted and the cover design you selected. Back cover text and images can be added for a flat fee of $20 for initial set up. Customer full color is the third choice. You will email, upload to your library or ftp your custom cover art separately after placing your order. Customer full color photos or art designs can be printed on your front cover, including bleeds. All images for the cover should be scanned and saved as EPS, TIF or PDF files at 300 dpi. For color accuracy, be sure to use CMYK colors and take the hard copy proof option. Cover specs are set to 1/8" larger than your actual book size to incorporate bleeds with .5" margins for text, Photoshop templates are available. Be sure to get the correct spine width using our spine size chart. 2) The Premium Cover Design Package includes cover consultation and 2 hours of cover design time and unlimited online proofs for $150. Custom cover design includes clip art services but not illustration services. Custom Illustration services are available. Black ink line art and black and white images either within the text or as a cover will be printed for no additional charge. Our black and white printing process has a maximum resolution of 600 dots-per-inch (DPI), which produces acceptable quality for most line art and photographs. Color printing is printed at a 720 line screen. If in doubt, print your document from your library viewer (utilizing the 'Direct Print' option) to a Hewlett Packard LaserJet or compatible printer and view the quality. For cover art, all photographs should be scanned and sent as EPS, TIFF or PDF file at 300 dpi. A full color photo design on the front cover (Customer Full Color Cover Design) is $.25 per book. *See Cover-Design-Options for more information on book printing. InstantPublisher.com can print a book from any Microsoft Windows or Apple Macintosh based software. However, many word processing programs do not accept high quality photograph scans like the graphics programs. The following programs i.e. QuarkXPress, Adobe InDesign or Photoshop, do accept high quality photograph scans. If your cover design or content contains photographs and you want high quality printing, you will have to utilize a graphics program like one of the three programs listed above. Microsoft Word will accept photos within the text; however, when printed the quality is limited to 600 dots-per-inch. You can quickly tell the quality by printing the file to your local laser printer. Click on the button below for a step by step process for making a high resolution PDF via Acrobat Distiller. The International Standard Book Number (ISBN) is the 13 digit number on the back of a book. This number identifies the publisher and the book title. Booksellers use this number to order, price and keep track of inventory. If you will not be selling your book in bookstores, this number is not needed. An EAN bar code is your ISBN transferred into an OCR scanable image. InstantPublisher.com can provide both the ISBN and the EAN bar code for your book. InstantPublisher, a book publishing company, offers two different ISBN options. The first ISBN option retails for $75. This number will list InstantPublisher as the publisher of record and we will be listed as the main contact for your book. (We must be the publisher of your book with this option.) The second ISBN option retails for $95. This number will be sent directly to you from R.R. Bowker. Purchasing this number entitles you to list your name as publisher of record and have full control of this number with access to your own books in the print account. 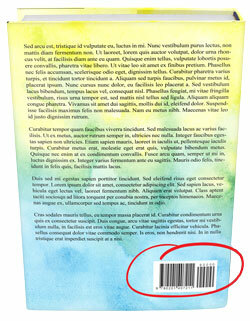 Both numbers are provided with an EAN barcode for the back of your book. If you wish to purchase a number, visit our ISBN/EAN order site. ISBN numbers purchased through InstantPublisher.com will be delivered in 2-3 business days via email after the ISBN order is placed. If you already have an ISBN number, InstantPublisher.com (an established book publishing company) can create the barcode for $15.00 during the order process. As a book printing industry standard, the book cover and manuscript are usually handled individually, so please upload your book cover (both black & white and color covers) and manuscript as two separate files. InstantPublisher provides 4 ways for you to send us the manuscript and cover files. 1. PDF InstantPublisher Uploader: If you have already created the high resolution printer-ready PDF file, please log in to your account, click the InstantPublisher PDF Uploader to send the files to us. The web browser plug in will allow you to select the PDF file from your local drive, type the document name, and enter the number of pages to upload the file. 2. Email/Mail the Book: Occassionally, we may accept the book files sent via email or mail for various situations, but please let us know ahead of time so we can process your files manually. Usually, there is a minimal charge for this manual process. Once we have uploaded the book to your account, you will be notified by email to proceed with the order. 3. FTP the Book: Or, you can select to FTP the document to our FTP site. Again, this will be a manual process and please contact us at 1-800-259-2592 to get the FTP login information so we can send you the detailed instructions via email. Meanwhile, a minimal charge may occur for orders uploaded through FTP site. We will also send an email to inform you when your book is uploaded to your account. Call 1-800-259-2592 for FTP login. Simply log into your account, select the InstantPublisher PDF file Upload button, select the PDF you wish to upload, enter a name and page count, and click Upload files. The files will then appear in your library and are ready for order. This browser plug-in is compatable with any web browser, such as Internet Explorer, Firefox and Safari, etc. If you have any questions regarding how to create high resulution PDF files, please review Acrobat Distiller settings. If you have any other questions concerning uploading or book printing, contact us. Black and white books will be printed on 8 1/2 x 11 inch paper. Color book proofs will be trimmed to size. If you do want a proof copy of your book before printing, there will be a flat charge of $50.00 for any color book order and any black & white book order that is under 200 copies. For a black & white book order that is over 200 copies, the proof copy cost is $30.00. With the proof copy option, you will be mailed an unbound proof of your book and cover. The proof will be mailed within 3 business days after the order is received and production will continue when your approval is received to complete the book printing process. Please keep in mind [to publish books] that the pages are going to appear exactly as submitted, but we are happy to provide the proof feature. Proof copies are necessary for color matching purposes. Proofs are sent via FedEx Ground or can be sent overnight via FedEx for an additional $20. InstantPublisher.com, a book printing company, will list your book on the internet (on our book listing site yourbook.com) free of charge so the first 20 pages can be viewed by book brokers, royalty publishers and book buyers from around the world. The book listing will be by title and author and includes the first 20 pages. If a large bookstore chain, publisher or book broker becomes interested in your work, they'll contact you through the link on the site. If the book is available for sale on the internet, you may list a link where it can be purchased. We are not only helping our customers find sales, but are helping large book publishing houses, and book printing firms alike, find talented writers. [To publish a book, sell a book, and become well-known or prominent is a challenge. We're here to help the book publishing process]. Please review our payment terms and production time Click the yellow button to watch a video on pricing. *Note, Corporate accounts are available only for existing members. As a corporate customer, you'll be a part of one the largest book printing companies in the U.S.
At InstantPublisher (a book printing company), we do not add any additional handling charges to the freight charges on your order and, in fact, pass along to you any discounts our freight carriers give us. At the time the books are shipped, you will receive an e-mail with the shipping information. You can view your order status at any time by logging into your account and clicking the order status button. When the order is shipped, you will be notified by e-mail with the tracking number of the carrier. 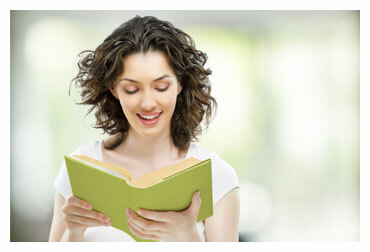 InstantPublisher, one of the most prestigious book publishers, is here to assist you. Contact us for any questions. Reprinting a book that you have already printed with InstantPublisher is easy. This can be done by logging into your account, then clicking the my library button, then clicking the re-order button. All the order options must remain the same with this process, except the number of copies. InstantPublisher.com (a prestigious book printing company) can reprint your book originally printed by other book printers as long as you own the copyright. A copy of certification or a letter of transfer must be submitted with the order from the previous book printer. You will have to handle the reprint just like a new order with InstantPublisher.com and submit your order through our web site. If you own the copyright but do not have a copy of your book file, most book printers can provide you with your original files to submit directly to InstantPublisher for a fee. InstantPublisher.com (a book publishing company) prints many different types of books, basically anything that is bound with a cover. We do print a few items such as bookmarks, book dust covers, postcards, and posters to help you advertise the books printed by us. 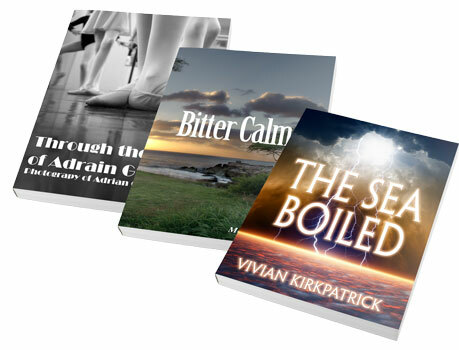 [InstantPublisher specializes in book printing and publishing to assist authors.] We must have a book order in house before we can process any advertising material request. For quantity and prices, use these marketing tools. The InstantPublisher.com software encrypts all files before they are sent from your computer to our production facility. The facility is highly automated, so no unnecessary people view any of the material that is submitted. We have a number of firewalls to prevent unwanted visitors to our site. Credit card numbers are not stored. After the job has been shipped, the card number is erased. If a customer wants to reorder from their library, they have to re-enter the payment information. All personal information is kept strictly confidential. We do not share your name, address or other personal information with outside parties. InstantPublisher.com guarantees that every book printed will be exactly as submitted or your money will be refunded or the books reprinted at no cost. Our software will let you preview your order before it is printed with 100% accuracy of layout. For color matching, you must take the (hard copy proof option) for the guarantee, as there is no specific method to proof colors on a monitor.